Usually, it’s the books I read that lead me to other books. I finish one and follow the references and ideas to the next. 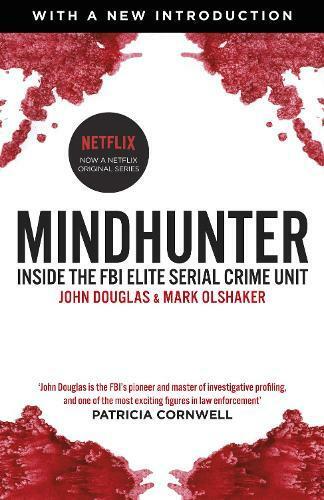 But while I was watching David Fincher’s new Netflix series, Mindhunter, about the birth of criminal profiling in the FBI, I found myself mentally referencing books I’ve read, and making notes to read others. On Halloween eve, here are nine chilling – and excellent – books that are perfect companions to the latest shining light in the Golden Age of Television. Fincher’s Mindhunter is based on this book of the same name, by special agent John Douglas (Jonathan Groff’s character in the series). Written after he retired, it explains how he invented and established the science of criminal profiling and what it was like to immerse himself in the mind of serial killers like Jeffrey Dahmer, Charles Manson and Ted Bundy – all of whom he met and interviewed in-depth. Reissued with a new introduction, this book will take you inside the true story at the heart of the series. One of my favourite books of 2017, this immersive work by New Yorker staff writer David Grann traces one of the FBI’s first homicide investigations – one intricately involved in issues of race, class, privilege and societal control. In the 1920s, the Osage Indians were the richest people per capita in the world, thanks to an oil discovery on their land. When the members of one family were killed off, one by one, it was obvious that their money was a factor, and further investigation revealed a wider pattern of murders in the community, and a conspiracy at the highest levels to profit from their deaths. Grann charts the case in novelistic detail, uncovering another layer of horror and betrayal through his own investigations. This behind-the-scenes story of the Manson murders won the Edgar Award for Best Fact Crime Book and remains a true crime classic today. It’s also a snapshot of a time when the summer of love bled into something more sinister; an era where a new kind of murderer emerged, whose motivations made no logical sense. It was murder not for money or revenge, but as performance. This book explores the kind of killer for which criminal profiling was developed to prevent or catch. John E. Douglas, the basis for Groff’s FBI agent on Mindhunter, has been the model for memorable screen stand-ins before – most notably, as the inspiration for special agent Jack Crawford in The Silence of the Lambs. ‘John Douglas knows more about serial killers than anybody in the world,’ said Jonathan Demme, the director of the book’s film adaptation. If you’ve never read the story of Hannibal Lecter, perhaps the most infamous serial killer in literature, now is a great time. Or why not re-read it after watching Mindhunter, with all the new knowledge you’ve gained! What does it look like inside the mind of a person motivated by curiosity and sensation – and impervious to empathy? This anonymous memoir by a diagnosed sociopath provides fascinating insight, in a disturbingly clinical, detached (and so all the more informative) narrative voice. The author is an academic, not a criminal. But she’s had murderous thoughts… it’s just that circumstances have made it smarter not to act on them. Jon Ronson’s gonzo journalism is always brilliant, no matter his subject – so it’s unsurprising that when his topic is as inherently fascinating as the question of psychopathy, he’s at his best. In this darkly funny, slyly educational book, he enters the world of psychopath studies and diagnosis, and from there, questions our hypermedicalised society. What does diagnosis achieve? Has the DSM gone too far? Is it science? He meets with suspected and confirmed psychopaths, from imprisoned murderers to infamous corporate monster Al ‘The Chainsaw’ Dunlap, as well as Robert Hare, inventor of the checklist used to diagnose psychopathy. Psychopaths often present as perfectly normal – even preternaturally charming – people. This seductive, cerebral literary true crime introduces us to an ordinary-seeming French doctor who seems to have inexplicably committed a terrible crime, gradually letting us into his hidden world and layers of lies. ‘On the Saturday morning of January 9, 1993, while Jean-Claude Romand was killing his wife and children, I was with mine in a parent-teacher meeting,’ this book begins. Written by critically acclaimed master of suspense Emanuelle Carrère (whose fans include John Updike), The Adversary explores the double life of a respectable doctor, 18 years of lies, five murders, and the extremes to which ‘ordinary’ people can go. David Gillespie intrigued Australia with his in-depth ABC radio interview with Richard Fidler this year, expanding on how to spot an everyday psychopath – and what to do to avoid being hurt or derailed by them. Up to 10% of people are probably psychopathic without being criminals. Although charming in the early stages of a relationship or employment, they will leave you feeling cheated and humiliated, will dominate and manipulate you, denying reality to the point where you question your sanity. This 2017 bestseller explains how it all works. The debut short-story collection from Melbourne author Laura Elizabeth Woollett was one of my favourite books of last year. Beautifully written and suspensefully told, these tales – based on true stories that are summarised at the back of the book for easy reference – are acutely psychologically insightful, and darkly seductive. True crime readers who also love good prose will love this book, which immerses itself in the stories of Eva Braun (Hitler’s mistress, then wife), the wife of Jim ‘Jonestown’ Jones, the Manson murders, Bonnie and Clyde, and lesser known, but no less fascinating, murders by serial killers and psychopaths. Each story is narrated by the fictional version of a real-life partner of a ‘bad man’ – all of them complicit in their lover’s crimes.